Another multi-topic episode. We discuss the recent approval of a new treatment for migraines, then some evidence suggesting a certain kind of exercise may be therapeutic for Alzheimer's disease, and finally some work that suggests there may be universal & cross-cultural features of music. We open, however, on the debate between the Laurel & Yanni people. Sources of 14 second music clips and their categories. From: Mehr, S. A., Singh, M., York, H. W., Glowacki, L., & Krasnow. M. M. (2018). Form and function in human song [cover article]. Current Biology, 28(3), 356–368.e5. Countries from which listeners of the clips originated. From: Mehr, S. A., Singh, M., York, H. W., Glowacki, L., & Krasnow. M. M. (2018). Form and function in human song [cover article]. Current Biology, 28(3), 356–368.e5. Edvinsson L, Warfvinge K. Recognizing the role of CGRP and CGRP receptors in migraine and its treatment. Cephalalgia. 2017 Jan 1:333102417736900. doi: 10.1177/0333102417736900. [Epub ahead of print] PubMed PMID: 29020807. Edvinsson L. The CGRP Pathway in Migraine as a Viable Target for Therapies. Headache. 2018 May;58 Suppl 1:33-47. doi: 10.1111/head.13305. PubMed PMID: 29697153. Raffaelli B, Reuter U. The Biology of Monoclonal Antibodies: Focus on Calcitonin Gene-Related Peptide for Prophylactic Migraine Therapy. Neurotherapeutics. 2018 Apr;15(2):324-335. doi: 10.1007/s13311-018-0622-7. Review. PubMed PMID: 29616494; PubMed Central PMCID: PMC5935651. Scheer, Steven. “Teva Hopes to Launch Migraine Drug as Soon as September.” CNBC, CNBC, 23 May 2018, www.cnbc.com/2018/05/23/reuters-america-update-1-teva-hopes-to-launch-migraine-drug-as-soon-as-september.html. Office of Communications and Public Liaison. “Headache: Hope Through Research.”National Institute of Neurological Disorders and Stroke, U.S. Department of Health and Human Services, 22 May 2018, www.ninds.nih.gov/Disorders/Patient-Caregiver-Education/Hope-Through-Research/Headache-Hope-Through-Research. Mayo Clinic Staff. “Dementia.” Mayo Clinic, Mayo Foundation for Medical Education and Research, 2 Aug. 2017, www.mayoclinic.org/diseases-conditions/dementia/symptoms-causes/syc-20352013. Marshall, Alex. “Can You Tell a Lullaby From a Love Song? Find Out Now.” The New York Times, The New York Times, 25 Jan. 2018, www.nytimes.com/interactive/2018/01/25/arts/music/history-of-song.html. Mehr SA, Singh M, York H, Glowacki L, Krasnow MM. 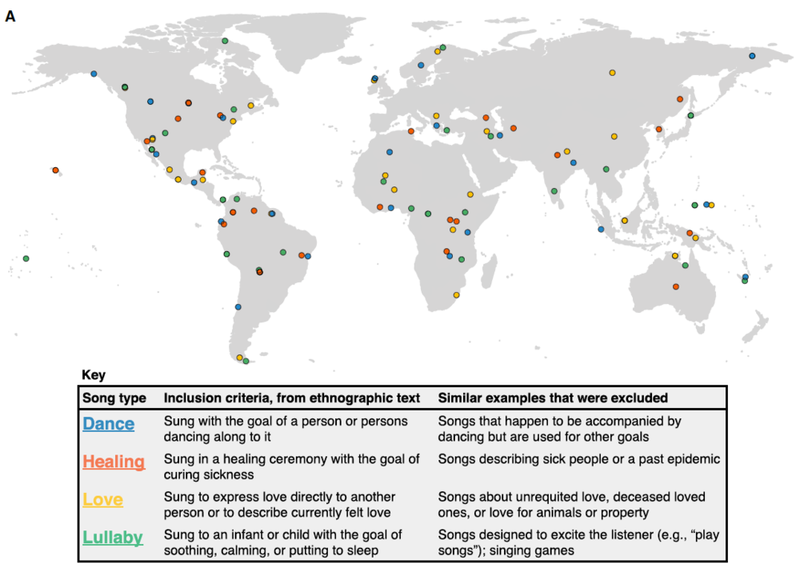 Form and Function in Human Song. Curr Biol. 2018 Feb 5;28(3):356-368.e5. doi: 10.1016/j.cub.2017.12.042. Epub 2018 Jan 25. PubMed PMID: 29395919; PubMed Central PMCID: PMC5805477.